Voice recognition tool Siri is extremely good at what it does. Since landing along with iOS 5 and the iPhone 4S back in October, it has been a focal point of the tech sphere on a daily basis. With jailbreaking having been somewhat stagnated by Apple’s dogmatic approach to security since the release of iOS 5, it’s not as much "another day, another tweak", as "another day, another Siri based app/mod/development". Today is no different, and with Christmas looming dangerously close, development firm Avatron has developed an app which allows Siri speech to be transferred to Mac. 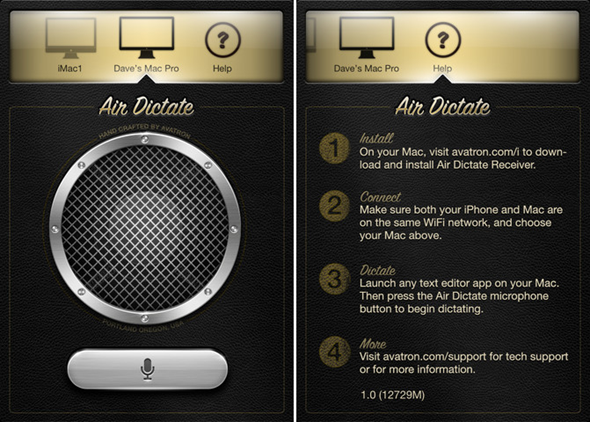 With no public APIs yet available for Siri or any features therein, Avatron has found a workaround with Air Dictate. The text flies over the air from an iPhone 4S to a linked Mac, which will need to be running OS X 10.6.8 or higher and a separate Receiver app. It works with all your main word processing Mac apps, so Mail, Word, Pages, or whatever other weird and wonderful text-centric utilities you’re partial to. Siri is already a very productive time-saver for iPhone 4S users and beyond. 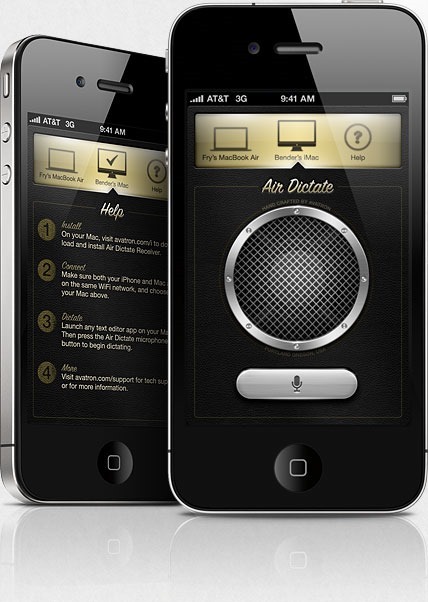 It will be intriguing to see just how far – bearing in mind apps like Air Dictate – we will come to depend on Siri and similar voice-to-text applications. After all, on a bigger scale, typing excessively to the point of repetitive strain could well be a thing of the past. Letters, essays, and the like could end up being a darn site easier and save many hours slumped in front of the PC drinking Red Bull, or your alternative caffeine kick of choice. As rivals keenly point out, Siri-like technology has been around for years, and Siri shouldn’t be hailed as ‘new’ technology. As correct as this is, lest we forget that tablets had been attempted in various forms years before the iPad, particularly by firms such as Archos, which combined big screens with storage, music, video, and internet year-in, year-out, but failed to capture the market as well as the Cupertino company has managed. With Apple plotting some sort of connected TV, rumored to be Siri-based, such technologies appear to be here to stay; so whether we like it or not, we’ll likely be dictating it all in the not-so-distant future.